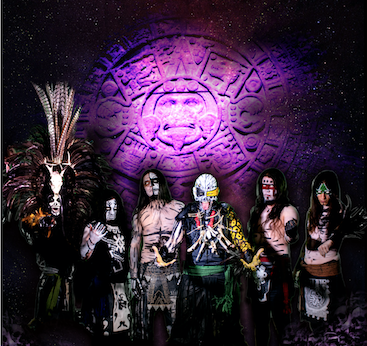 The Mexican-based Aztec metal group CEMICAN – whose unique music incorporates elements of the legends, mysticism and ideologies of ancient Mexican culture – has signed with M-Theory Audio, who plans to release the group’s new album in the late spring/early summer. CEMICAN – who combine the modern instrumentation of a metal band with traditional pre-Hispanic instruments – experienced a breakout year in 2018. In addition to their new single/video “Guerreros de Cemican” receiving regular airplay on SiriusXM’s Liquid Metal, the six-piece group was invited to perform at the Paris edition of the Download Festival and Germany’s Wacken Open Air, as well as Force Fest – described by Revolver as “Mexico’s premier open-air festival” – in their native country. 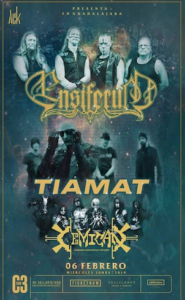 The band plans to build on their momentum on 2019, when they will return to Europe in both the winter – when they’ll perform at France’s Cernunnos Pagan Fest and Germany’s Wacken Winter Nights – as well as the summer, when they will make their debut at the French festival Hellfest.